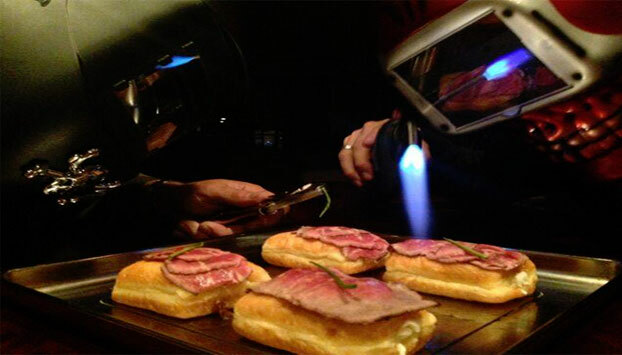 Gastro Garage Deconstructs High End Dishes With Blowtorches and Welding Goggles. 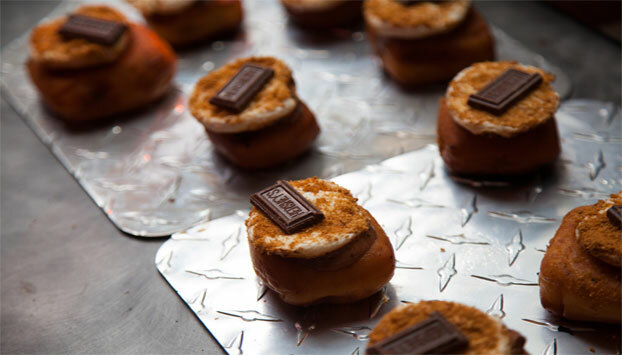 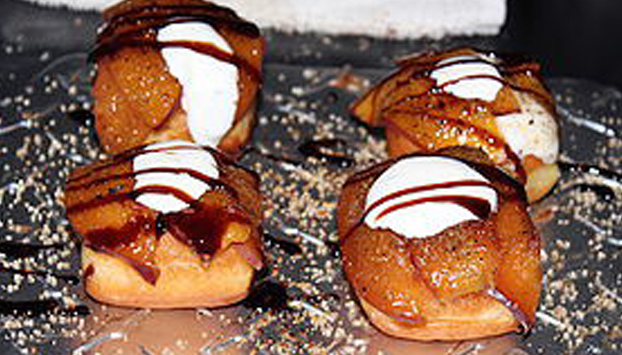 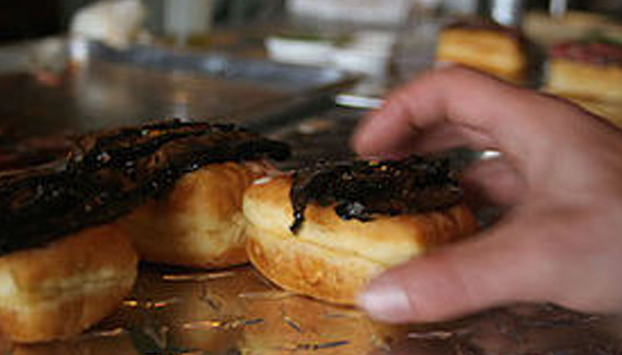 These Are the Most Extreme Donuts You've Ever Seen. 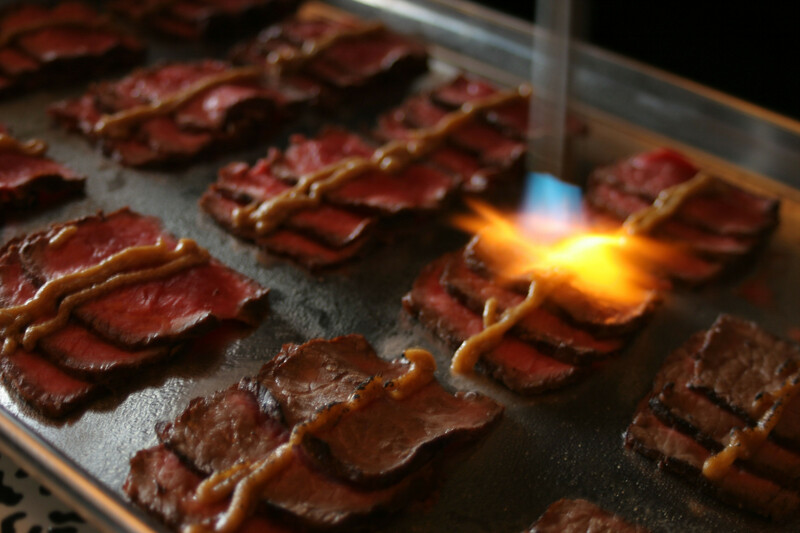 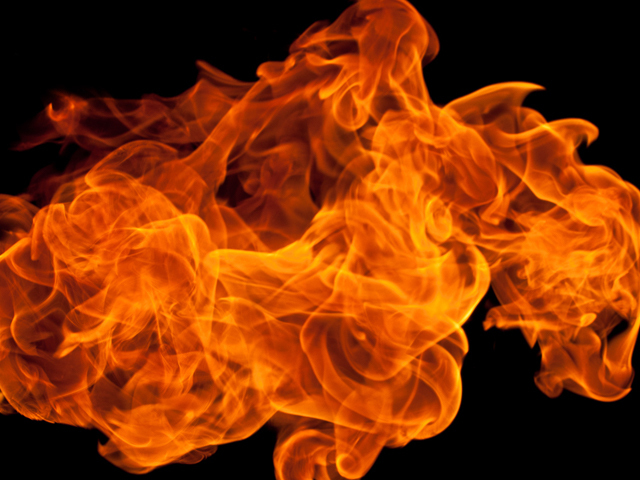 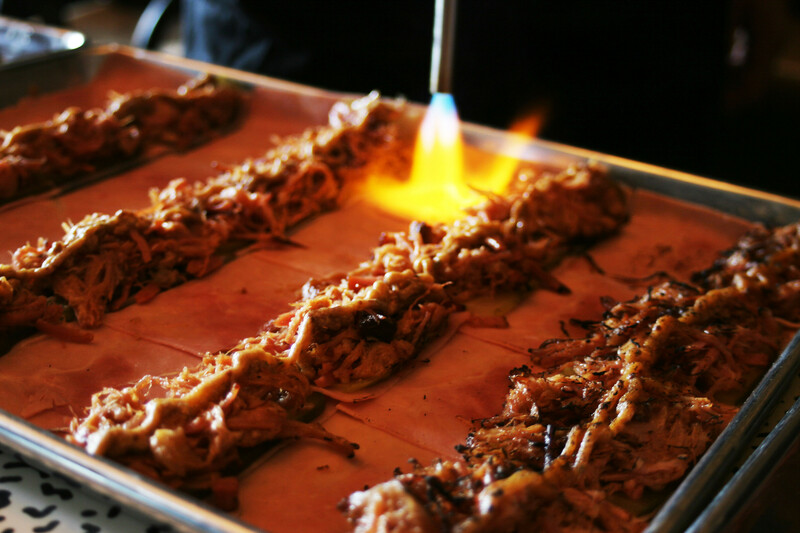 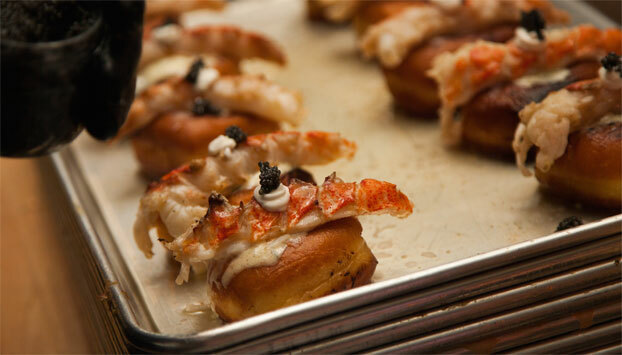 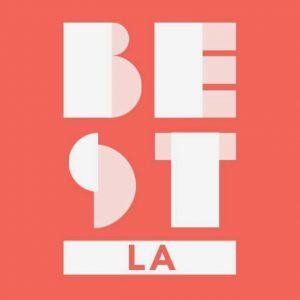 Los Angeles-based catering company uses blow torches to cook on site, creating an interactive, entertaining option for events. 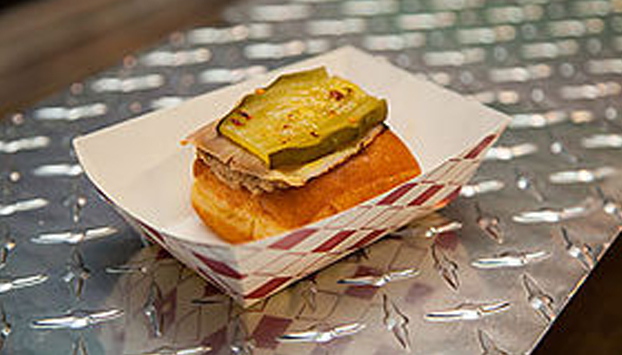 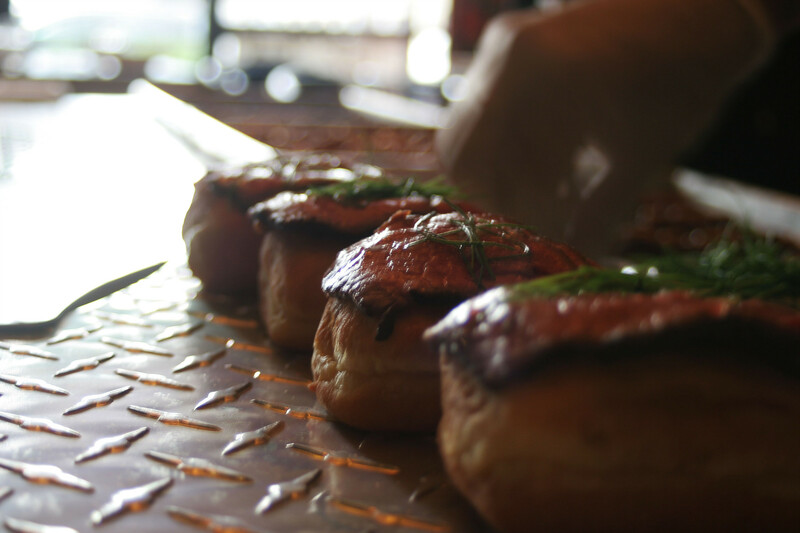 A rowdy, mechanic-themed catering crew that lights up things like cheesesteak brioche donuts on fire.